Preheat oven to 400°F. Shred chicken. In a small bowl, combine mayo, soy or fish sauce, juice from the 3 limes, and sriracha. Grate garlic with a microplane and add to the mixture. 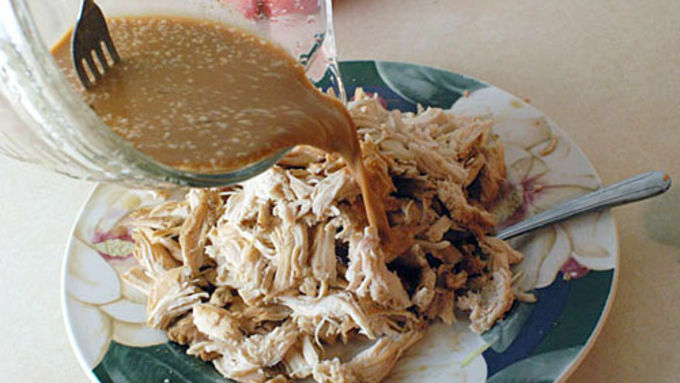 Pour dressing over chicken. 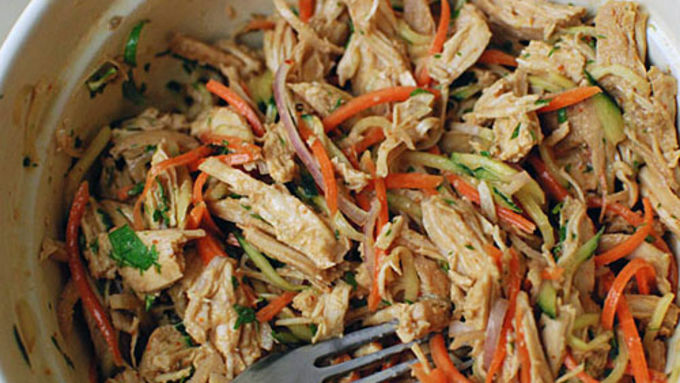 Thinly slice carrots, cucumber, and shallots and add to the chicken. Mix well. Thoroughly coat the cups of a mini muffin tin with cooking spray. Press one wonton wrapper into each muffin cup, and liberally spray the tops and sides of the wonton wrappers with additional cooking spray. 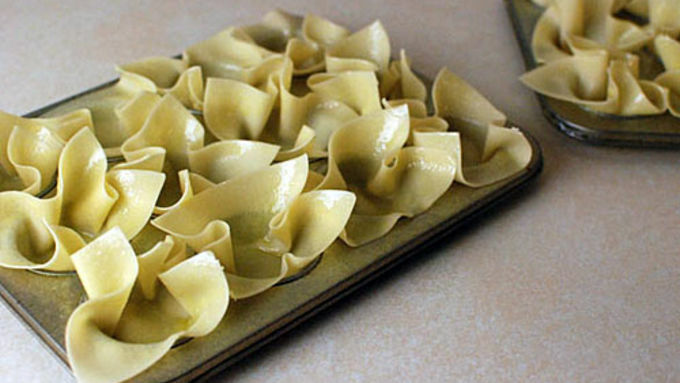 Bake at 400°F for 5-7 minutes or until wontons are crispy. 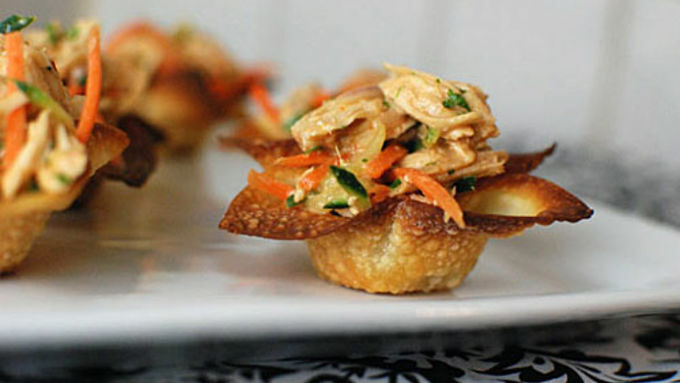 Add a spoonful of chicken salad to each individual wonton and serve immediately. Enjoy! One of my favorite types of food to cook is elegant little bite-sized appetizers. I imagine them being handed out on trays at a classy event and snacked on between interesting conversations. 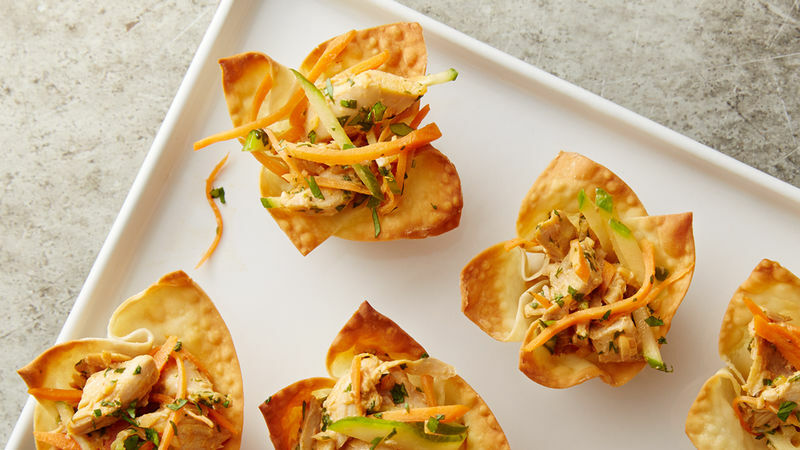 These wonton bites fit the bill perfectly. Light, delicate food, pretty presentation, and you can eat the bowl – what more could you ask for? You can find these fresh wonton wrappers at any grocery store. This is also a great way to use up any leftover chicken you may have hanging out in the fridge. Make these for your next event and impress your friends with your elegant food style!